Thermapen thermometers are used worldwide in restaurants, hotels and kitchens - anywhere that perfectly cooked food is served. Faster and more accurate than any other cooking thermometer on the market; the SuperFast Thermapen® takes the guesswork out of cooking. Now there is a Backlight Thermapen, a Sous Vide Thermapen and a Pro-Surface Thermapen available. Please note that all products may not be available at all times. 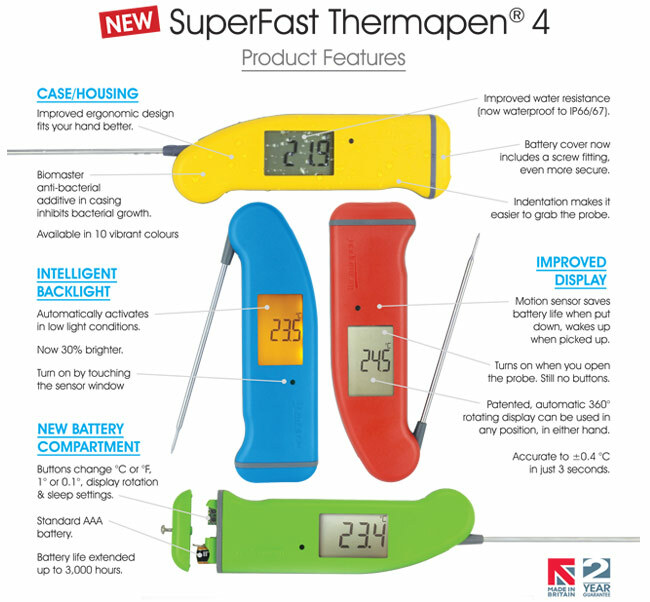 The SuperFast Thermapen 4 is the UK’s number one selling food thermometer. Used by hundreds of thousands of people worldwide, it offers a combination of speed, accuracy and convenience of use. The new Thermapen 4 uses advanced technology and includes a number of innovative features illustrated below. The patented 360° self-rotating display can be used in any position, in either hand and is truly ambidextrous. The Thermapen 4 incorporates an intelligent backlit display sensing light levels, automatically turning the backlight on/off in varying light conditions. The motion-sensing sleep mode automatically turns the Thermapen 4 on/off when set down or picked up, maximising battery life. 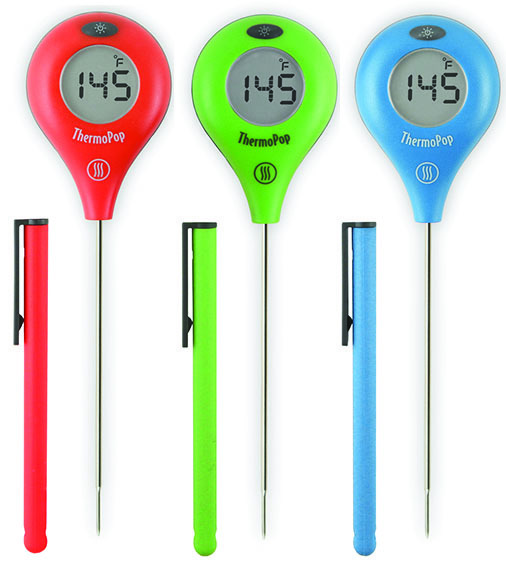 Measuring temperature over the range of -49.9°C to 299.9°C and used by hundreds of thousands of discerning cooks worldwide, it offers a combination of speed, accuracy and convenience of use. The casing is washable and includes Biomaster additive that reduces bacterial growth and the ergonomic rubber seal minimises the risk of the ingress of water, dust or food. As well as being waterproof to IP66/67, it is still 'probably' the fastest reading contact thermometer on the market today . The true temperature of a product can be tested in just three seconds. The Thermapen 4 incorporates a reduced tip, stainless steel, food penetration probe (Ø3.3 x 115 mm) that conveniently folds back through 180° into the side of the instrument when not in use. Super-Fast readings are within the final degree in only 3 to 4 seconds! Designed for serious chefs and professionals, the ThermoPop features big digits and a backlight for dark conditions. Molded-in seals and buttons make it splash-proof. 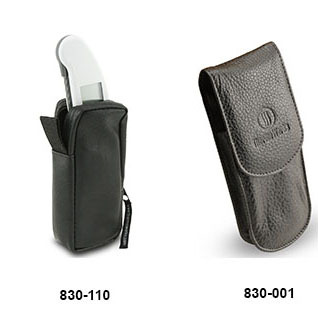 Durable construction outlasts similarly priced pocket thermometers. Simple operation reduces user errors. Wide range is suitable for frozen foods and deep fryer testing. Accuracy is guaranteed to remain within ±1°C up to 120°C. If you’re going to carry a thermometer in your pocket, get a Super-Fast ThermoPop. Probe 114 L x 3.0 mm dia. reduces to 2.0 mm dia. 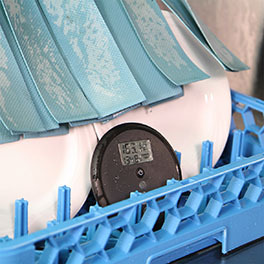 Designed to ride along with a load of dishes, DishTemp simulates a plate and accurately records the max surface temperature experienced by dishware inside a commercial dishwasher. Engineered with molded-in, water-tight seals, using industrial grade materials, DishTemp carries an IP66 rating and comes with a NIST-Traceable Calibration Certificate so you know its accurate, and a 1-year warranty. DishTemp only has one button. The power button resets the Max Temp reading before each cycle. Simply turn DishTemp on, toss it in with the other wares and view the max surface temperature after the dish cycle ends. Use during audits and daily logs. Built to survive daily use inside commercial dishwashers, DishTemp outperforms every testing solution. Save time, save money, improve your work.